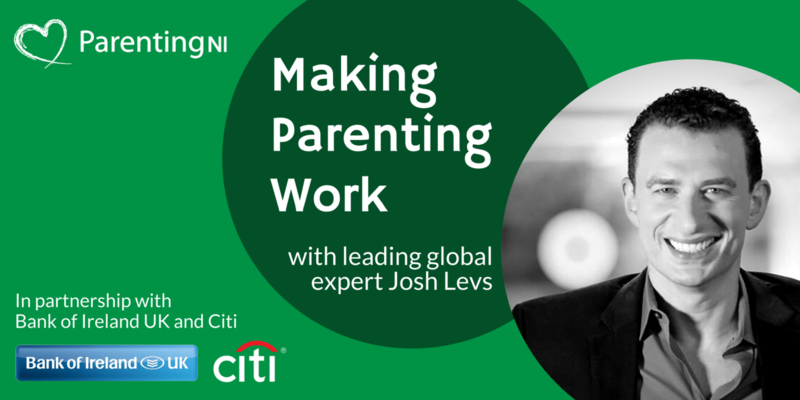 Parenting NI is delighted to present Josh Levs, thanks to support from Bank of Ireland and Citi. From the United Nations to Congress, Oxford and Google, Josh Levs’ powerful talks chart new terrain, advancing everyone’s understandings of men, modern parenthood, and gender equality. The cost to attend is £25 per person which includes breakfast for all delegates and attendees will also have the option to take a tour of the National Stadium following the event. Josh Levs is an entrepreneur, former CNN and NPR journalist, and the leading global expert on issues facing modern fathers in the workplace. He is the author of the award-winning book All In: How Our Work-First Culture Fails Dads, Families, and Businesses–And How We Can Fix It Together (HarperOne 2015). He now works with corporations, organizations, universities and more to build policies that support men as equal caregivers, a crucial step toward ensuring equal career opportunities to women. Watch Josh Levs at Google, read articles and hear more about his work.